The two sexes are different. The female is larger and heavier than the male. In the adult male, the facial disc is white, barely noticeable. The base of the beak is strongly feathered. The upper parts are plain white with a few black spots on the tiny tufts. The tail is almost all white with occasional waves terminal bars. The underside is completely white. Tarsi and white feet are heavily feathered. In adult female, the upper parts and cap are spotted and barred slightly brown. Very young birds have a greyish brown plumage which is gradually replaced by a white plumage with dark bars. Adults have bright yellow iris. Snowy Owl frequent arctic tundra with mosses, some rocks and alternating discontinuous vegetation, including graminaceous, lichens, dwarf trees and birches. It prefers mounds or hillocks. In the far north, it often nests near the coast. Outside the breeding season, it occupies the landscape near the seacoast. Most birds fleeing the harsh conditions of the Arctic and head south. They reach the northern United States to the Great Lakes region. In Europe, they go down in Scandinavia, the Baltic countries, Siberia to the Chinese border. They are active during the day, from dawn until dusk. Their behavior is similar to that of the Grand Dukes. They are often found on the ground or perched on a rock. They are able to walk and run fast. The male marks its territory by 2 different ways: either it sings or it performs flights. They mate for life and nest once a season, but many couples choose not to reproduce all the years when food resources are insufficient. The nest is a small depression dug on a mound in the middle of the tundra. The surrounding landscape must be perfectly clear, any plant that bothers peripheral vision is immediately torn off by the bird.Laying runs from early May until early June. Female lays directly on the floor 3 to 11 white eggs. Incubation lasts 32 to 33 days. The eggs hatch several days apart and the female takes care to warm the chicks. When the eldest young reach the age of 3 weeks, the female goes hunting and both adults together hunt to feed the brood. After 2 weeks, the young begin to walk around the nest. 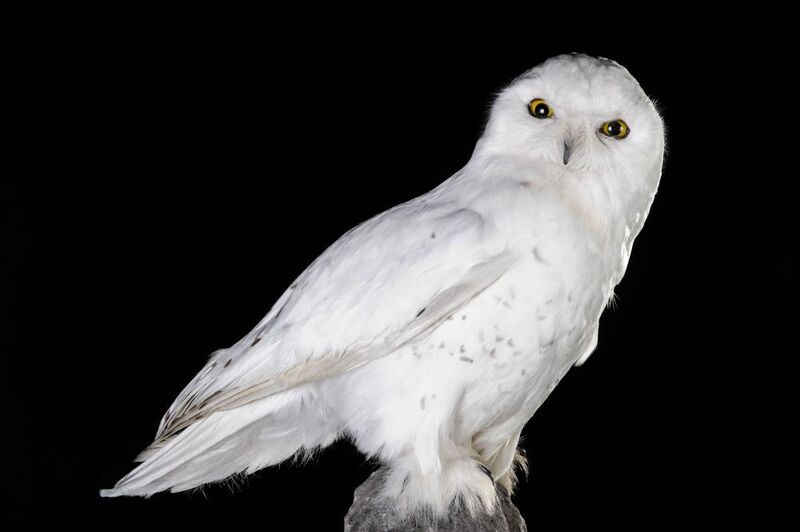 They leave the site from 18 to 28 days after hatching, while they do not yet know how to fly. The first take-off tests shall start at the age of 35 days but young do really fly well after 50 to 60 days. They reach sexual maturity in the year of their birth, but they do their first reproduction at the end of their second year. They can live up to 10 years. They mostly hunt small mammals, lemmings, voles, ducks, wading birds, crustaceans and sometimes fish. 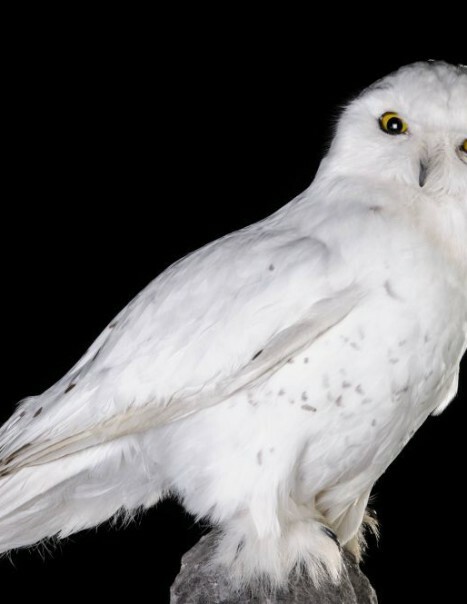 Outside the breeding season, snowy owls eat mammals and birds. Ingested prey is on the ground. Smaller prey is whole swallowed, the largest are cut into pieces. Birds are partially plucked before consumption.